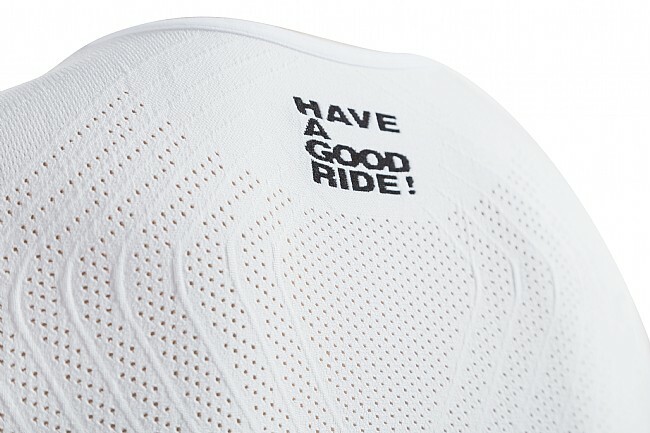 The NS Skinfoil Summer S7 Baselayer by Assos is the newest baselayer from the Campionissimo line, designed for road and mountain biking in warmer temperatures. The fabric is composed of a polypropylene/polyester blend that features temperature and moisture moderating technology which absorbs perspiration and moves it to the surface of the fabric for quick evaporation. 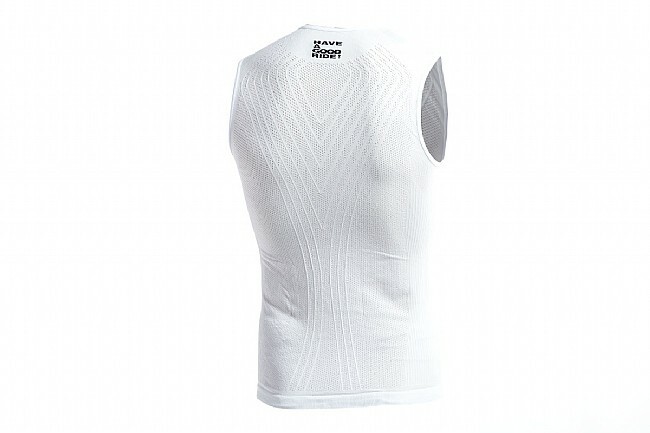 The S7 Baselayer is sleeveless, unisex, and seamless making it incredibly versatile and comfortable. The contoured yet flexible fit is snug so it can be easily worn beneath a jersey and/or jacket without being restrictive. 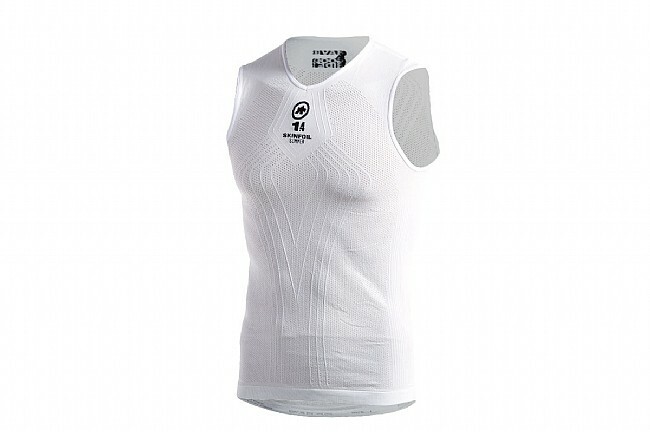 Assos recommends that the S7 Baselayer be paired with their jerseys and jackets to achieve ideal performance and functionality.